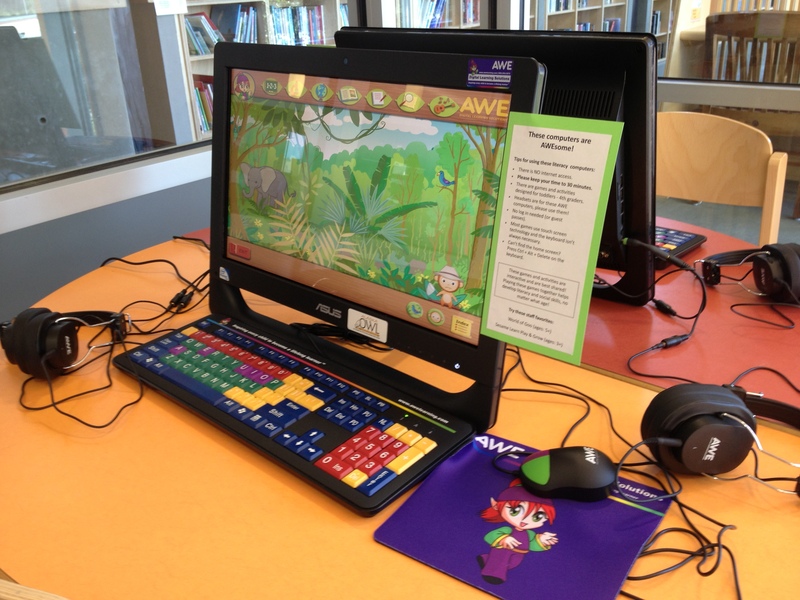 Thanks to a grant from the Alaska OWL Project, my library recently installed two AWE computers in our children’s library! There are so many nice features about these additions to our multimedia children’s library that I can see why they are in constant use by an ever-changing group of toddlers, preschoolers, kids, and adults. 2. They are self-contained with preinstalled games and activities, so kids and their caregivers can find valuable games to play quickly. 3. They are not connected to the internet, so users don’t need to log in. 4. The computers are touchscreen and easy to use for most ages. 5. The diverse selection of games appeals to a variety of interests. 6. We received two headsets for each computer which encourages joint media engagement. Having two headsets also allows kids to fully utilize the computers while others are able to enjoy the library in different ways. Do you have AWE computers at your library? What are your favorite games or activities? How are you using them in your library?